Karlie Kloss and More Fashion Week Models Tell All . . . 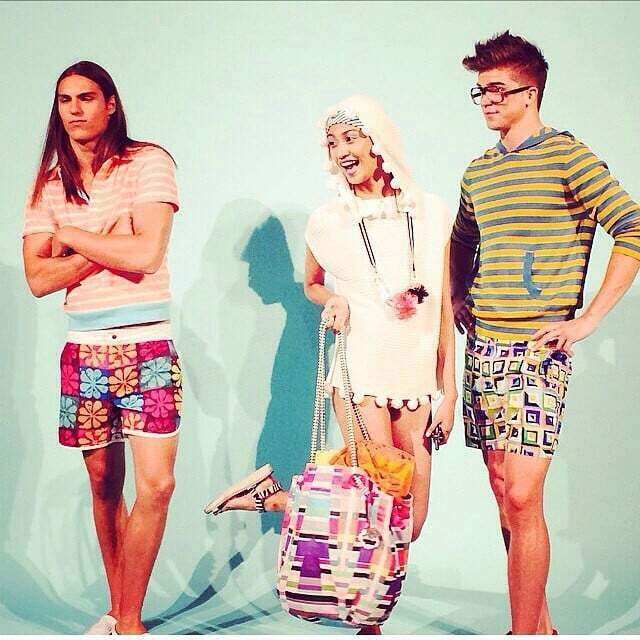 Fashion Week would be nothing without the models. And while we love a great celebrity makeup tip or a professional beauty hack, these girls take their beauty to the bank (literally). It's their job to have luscious hair and pristine skin! Somehow they even manage to glow backstage — like at six o'clock in the morning, while we're still begging for caffeine. So, this New York Fashion Week we got all the goods. 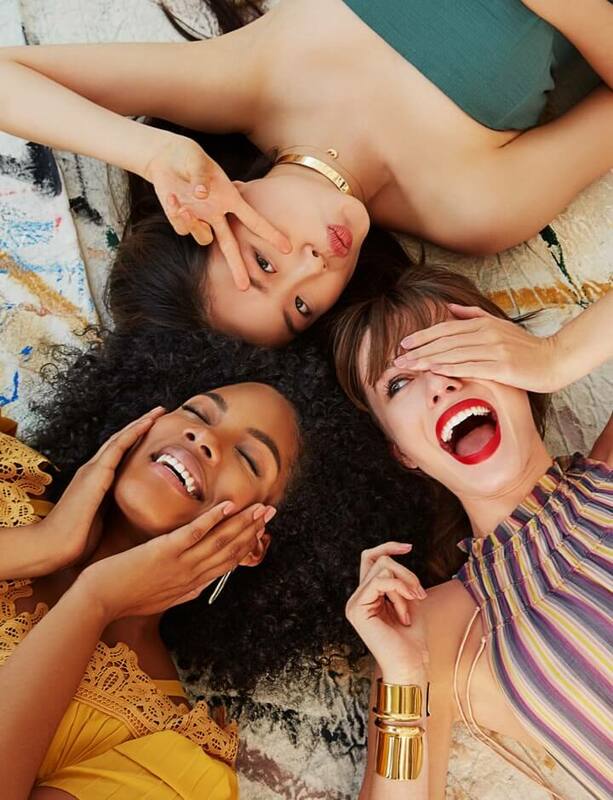 From the most talked-about makeup remover (Bioderma was the big fan favorite) to their casting-call makeup looks, these beauty secrets are runway-model approved. Before the Jason Wu show, Karlie showed up makeup-free with wet hair (and still #wokeup this gorgeous). She was sipping a protein shake, her post-workout fuel. She said, "My favorite tricks and things to keep in my bag are makeup remover wipes, a nice lotion — like Homeoplasmine — or just a really simple lotion to take makeup off. It dries between shows, so I am ready to go at the next one. Day to day, I'm pretty fresh-faced. I'm a low-maintenance kind of girl." Frida is not a fan of facials, but she keeps her face fresh with a strict Dermalogica regimen, which includes the powder exfoliant ($52). Backstage at Jenny Packham, she admitted that her biggest skin threat is junk food. "I found these butter cookies at the local market that taste like white chocolate," she said. "I dip them in tea like a true English girl, but as a healthy snack I love mangoes. I eat one a day!" 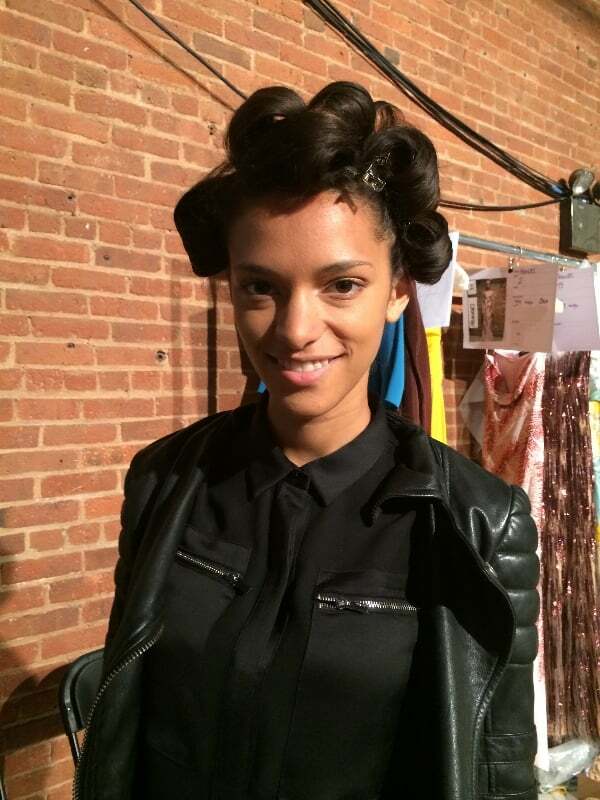 Backstage at Trina Turk, Manuela revealed her casting-call makeup routine. It's all about the minimal look so that designers can see her gorgeous, natural features. She fills in her brows with the Anastasia powder ($23), then she uses MAC concealer ($19) to cover any spots (but we can't see any). We know models get a bad food rep, but Ajak eats steak all throughout Fashion Week to keep her energy up (so our next dinner date is when?). She also keeps a pretty strict skin care regimen. "I try to make sure my skin is flawless, glowy, and fabulous. 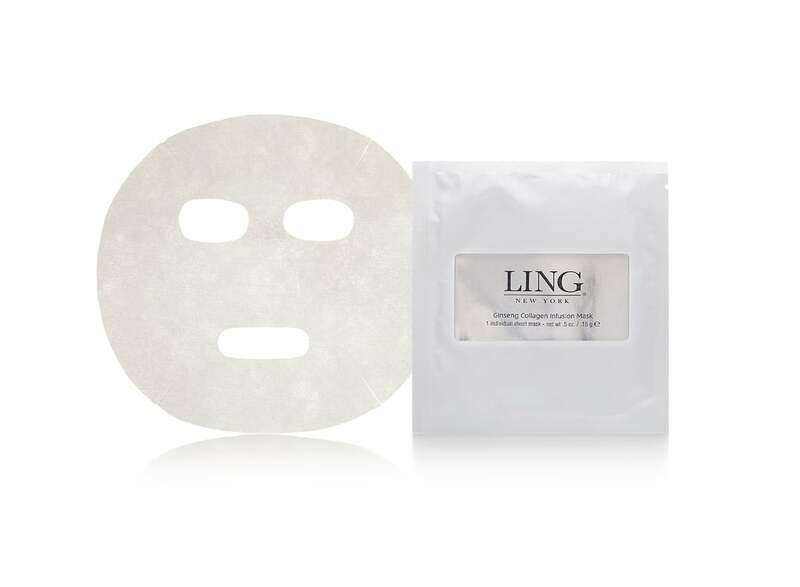 I use Ling Skincare detoxifying mask ($42) on clean skin for 10 minutes, then wash. And I use a the ginseng mask ($18) twice a week," she said. "I drink water with lemon for clear skin — it helps get the toxins out and prevents breakouts." Who said Proactiv was just for teens? Svea uses the acne skin care line during Fashion Week to keep her skin flawless. She also carries her go-to makeup removers with her on the go. "I try to take my own makeup off in between shows because it can be a little rough when they do it backstage," she said. "I use Bioderma for that, and Klorane's sensitive eye makeup remover ($16) is the best." 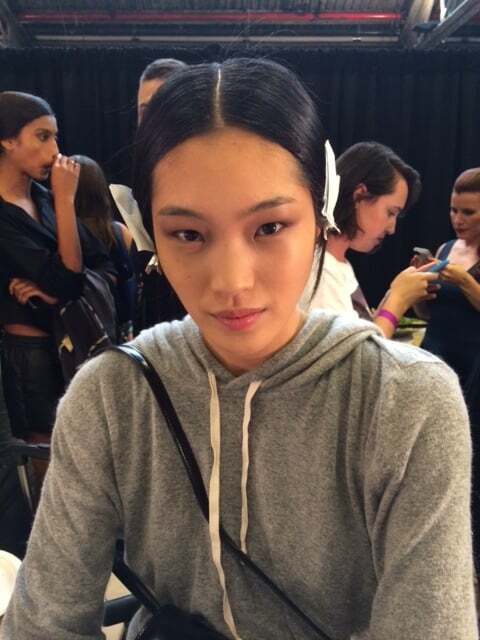 We caught Cindy backstage at Jill Stuart fresh from the makeup chair (and in the middle of taking a selfie). 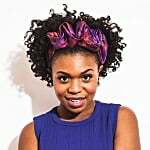 She broke down her best hair tips. "I don't want to sound like a diva, but it's really important to wash your hair with [bottled] mineral water," she said. "The water from the shower is too hard and not pure." Between shows, the French fashionista treats her natural curls to a Kérastase hair mask ($65) or sleeps in her favorite L'Oréal oil ($13). With multiple makeup changes a day, models are susceptible to mid-Fashion Week breakouts. 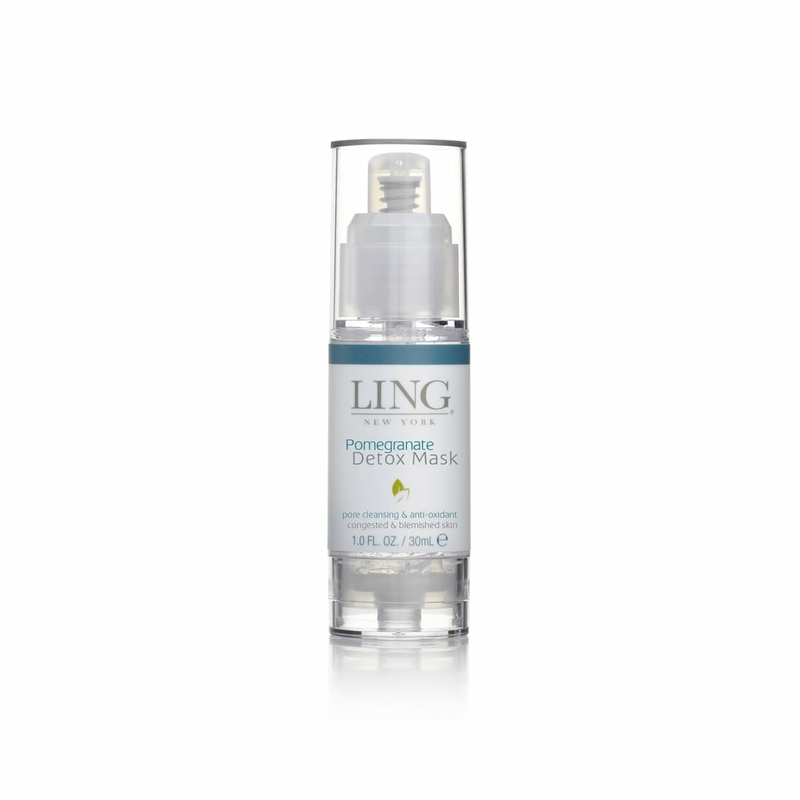 Lina starts by getting a facial two weeks before the runway. "I go to the Guerlain Spa at the Waldorf Astoria [in NYC]. They have this treatment where they push oxygen into your pores to freshen the face up," she said. "I go two weeks before because the first week after you have a bad-skin week." 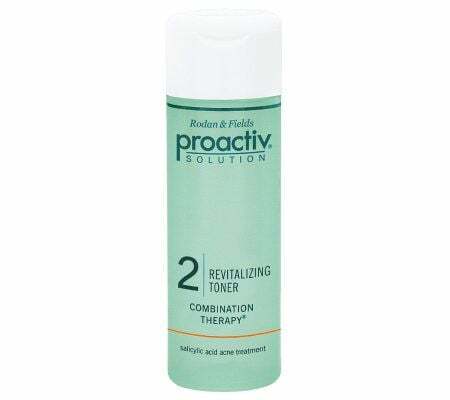 Then if she gets breakouts during the shows she uses Dermalogica spot treatment ($26) and Proactiv toner ($16). Chiharu actually emptied out her crossbody bag for us backstage at the Donna Karan show revealing all kinds of beauty goodies. She had a Shiseido lip treatment ($36) and Uka nail oil ($39) tucked away in her pouch. She also told us all about her love of a rosewater spritz to keep her skin hydrated on-the-go. 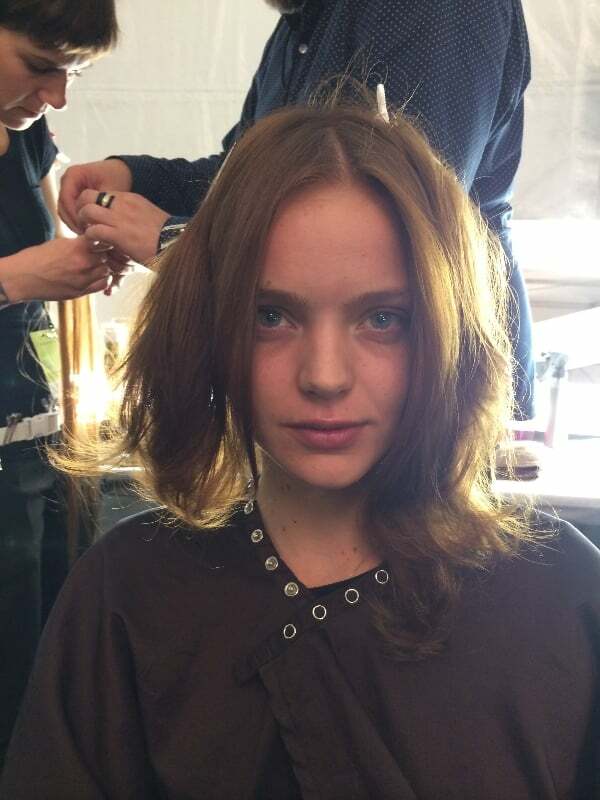 We were drawn to Margaux's blunt bangs backstage at the Kate Spade New York presentation. While waiting to hit the runway, she revealed her daily styling routine. "When I get out of the shower, I blow-dry my bangs even if the rest of my hair stays wet," she explained. As for styling products, she counts on Fekkai dry shampoo ($20) and Balmain hairspray to keep her cowlick at bay.